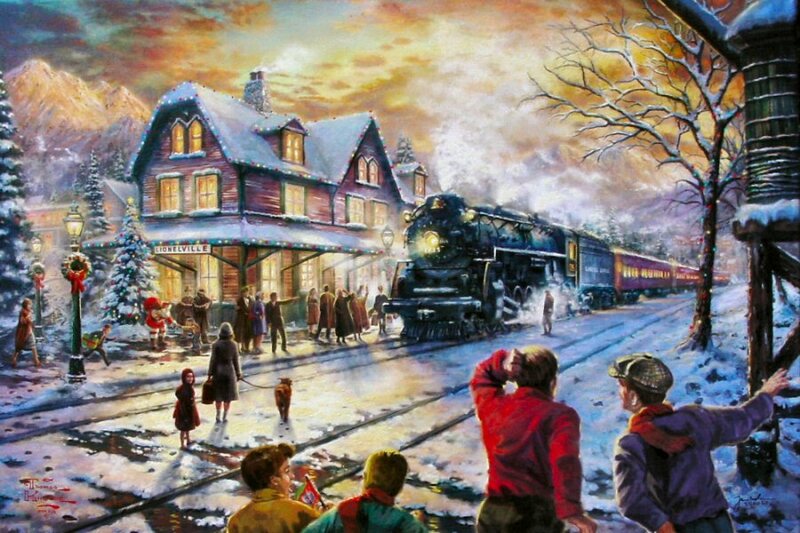 "There is nostalgia in childhood…the security of a family holiday tradition…and in the adventure of railway travel. In this homecoming, family and friends are reunited for the holidays. It is a community event in Lionelville when the train arrives and the celebration begins. Indeed, I smile when I say… ‘All Aboard for Christmas‘! The excitement of the railway is ingrained in the American experience of travel. It is what opened the west to the east as part of our country’s manifest destiny. It is a fundamental part of our popular culture…who has not dreamed of riding the “Orient Express” or the iron horse of the American plains? And, it is a part of my own “growing up” as my most favorite of all childhood Christmas gifts. 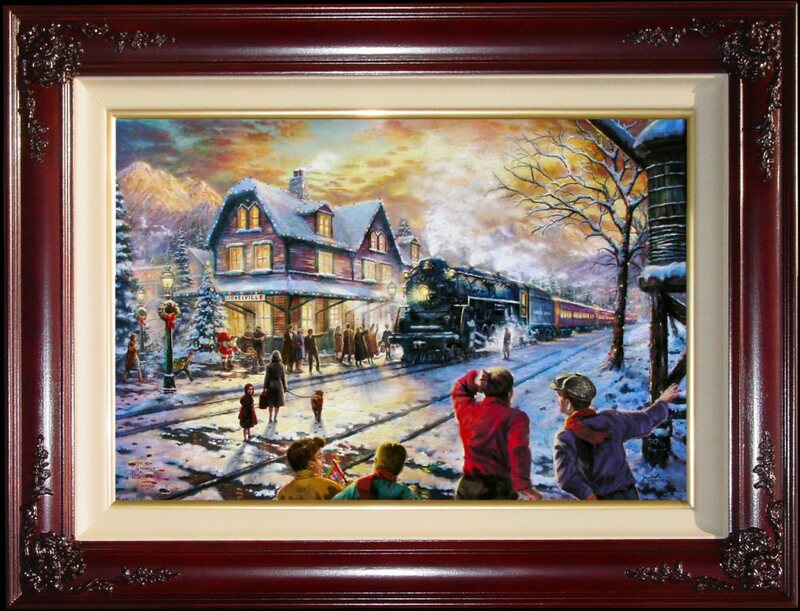 As a boy, I received my first Lionel electric train set under a yuletide tree and still delight in the memory of its set-up and of the imagined adventures I had on those scaled down tracks. For a child there is nothing as exciting as the dream of faraway places and the adventures in travel one might have to reach them. For those young at heart, the beat of the rail as the train gains speed brings the excitement of travel and the emotional warmth of homecoming. Join me in Lionelville, a place where adventures start and reunions are enjoyed throughout the holiday season. God Bless!"